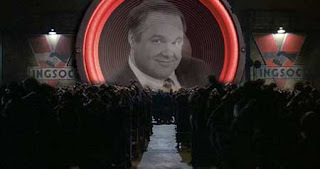 Criminalize Conservatism: Limbaugh, Conservatism, And "Projecting Fascism"
Limbaugh, Conservatism, And "Projecting Fascism"
"Is fascism an obsolete term? Even if it resurrects itself as a significant political threat, can we use the term with any effectiveness? "My friend John McKay, discussing the matter at his Weblog archy, wonders if the degraded state of the term has rendered it useless. After all, it has in many respects become a catchall for any kind of totalitarianism, rather than the special and certainly cause-specific phenomenon it was. Anyone using the word nowadays is most often merely participating in this degradation. "The following essay is devoted to that idea. Its purpose is, if nothing else, to give the reader a clear understanding of fascism not merely as a historical force but a living one. 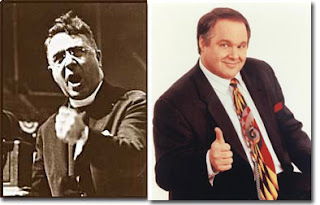 "The essay originally appeared as a series of posts at my Weblog Orcinus, sparked by an erroneous report of something Rush Limbaugh reportedly had told his radio audience. The error was soon corrected, but the remarks had in any event stirred me to write about my concerns about the way the political climate in America is heading, based on material and information I'd been gathering on a variety of issues pertaining to the radical right and its increasing ideological traffic with mainstream conservatism. "Because Orcinus is generally intended as an actual journal -- a place for me to work out writing ideas and to post original source material on news stories and events that interest me -- much of what appeared on the blog was in many ways a rough draft. Moreover, since it is a public enterprise, I obtained much feedback during the course of writing it, some of which affected the content and nature of the essay and appears in the current text. "The version that appears before you is, of course, considerably edited and rewritten. There is a good deal of new material that did not appear anywhere on the blog. Whole sections have been rearranged and edited down, and the order of the argument is not exactly what appears on the blog. In this respect, it may be an instructive exercise for anyone interested in the writing process to compare the two; but in any event, this version is the definitive edition, since a number of errors and repetitions, as well as logical missteps, can be found in the rough draft, naturally. "While I establish early in the essay that this is an attempt at a 'scholarly' discussion of fascism, I should however clarify that I am in fact merely a journalist, not a scholar, nor do I pretend to be one. The following essay is more in the way of a journalistic surveyof the academic literature regarding fascism, and an attempt at a kind of lay analysis of the literature's contents as it relates to the current political context. 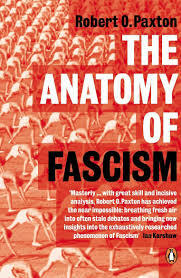 However, none of the ideas regarding the core of fascism, nor its many accompanying traits, are my own. "Rush" is mostly drawn from a body of scholarly work on fascism that's broadly accepted as the important texts on the subject, and I'll urge anyone interested in examining the matter seriously to read them. There's a bibliography at the end. "The core of my interest in fascism is closely connected to my work in trying to understand the motivations of right-wing extremists, because my experience was that in most regards many of these folks were seemingly ordinary people. And I was furthermore intrigued by the historical phenomenon of the Holocaust, particularly the problem of how a nation full ordinary people could allow such a monstrosity to happen. I'm interested in fascism as a real-world phenomenon and not an abstract and distant concept. "As such, I'm hoping this essay if nothing else helps advance a wider understanding of fascism in the general public, because I've come to understand that this awareness is essential if we are to combat it. "The many other bloggers whose links to the essay have contributed mightily to its seeming popularity, and whose abiding interest in my work at Orcinus is deeply appreciated: Atrios at Eschaton; Avedon Carol at Sideshow; Kynn Bartlett at Shock and Awe; Ginger Mayerson at Hackenblog; Jeralyn Merritt at TalkLeft; Mark Woods at wood s lot; Patrick Nielsen Hayden at Electrolite; Richard at Peking Duck; Bryant at Population: One; Chris Woolery at Hegemoney.com; Digby at Hullabaloo; Kevin Hayden at Reach M High Cowboy Network Noose; John Constantine at Hellblazer; Michael Finley at world gone wrong; Christian at Radio Free Blogistan; Lisa English at Ruminate This; John Emerson at Zizka; and many others who I'm sure I managed to overlook. Many, many thanks to Jennifer at Media Whores Online for the many links. "A very special thanks to Paula at Stonerwitch, who not only contributed ideas but who volunteered the time and effort required to convert "Rush" to a PDF file. "The many readers who wrote in to express their interest, and particularly those who contributed their thoughts, many of which made their way into the text: Matthew Davis, Christopher Skinner, John Burns, and the pseudonymous Farmer. "Mark Pitcavage of the Anti-Defamation League, Mark Potok of the Southern Poverty Law Center, and Chip Berlet of Political Research Associates for their regular advice and contributing interviews. Brenda Kitterman of Not In Our Town for inviting me to Kalispell; and Paul deArmond of Public Good for keeping me informed about events in Bellingham. "Last but not least: My wife, Lisa Dowling, whose remarkable ability at keeping the ship afloat is what enables me to write, and whose patience with my disappearance into the shop seems endless; and my daughter Fiona Rose, whose sweet nature often allowed me to keep working while she played with her colors, books and blocks, and whose smile always reawakens that old desire to make the world a better place. "*. David Neiwert is a freelance journalist based in Seattle. His reportage for MSNBC.com on domestic terrorism won the National Press Club Award for Distinguished Online Journalism in 2000. He is the author of In God's Country: The Patriot Movement and the Pacific Northwest (1999, WSU Press), as well as the forthcoming Death on the Fourth of July: Hate Crimes and the American Landscape (Palgrave/St. Martin's Press, 2004) and Strawberry Days: The Rise and Fall of the Bellevue Japanese-American Community (publisher pending, 2004). 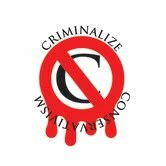 His freelance work can be found at Salon.com, the Washington Post, MSNBC and various other publications. He can be contacted at Orcinus. "Rush Limbaugh likes to call himself 'the most dangerous man in America.' He offers this epithet tongue in cheek on his radio program, but the truth is, he isn't kidding. 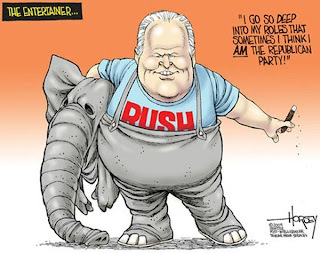 Over the decade and more that Limbaugh has ruled America's talk-radio landscape, it has become inescapably clear that he is, if nothing else, certainly the most dangerous demagogue in America, maybe in history. "In terms of his breadth of reach as a political propagandist, he has no real parallel in American history. The closest might be the Rev. Charles E. Coughlin, known to his radio audience of the 1920s and '30s as 'Father Coughlin.' Coughlin started out as an anti-communist firebrand, and by 1930, his weekly broadcasts reached an audience estimated at 45 million. (Limbaugh claims a weekly audience of 20 million.) He was a major supporter of Franklin Roosevelt in 1932, but turned on FDR shortly afterward and became a severe critic of the administration through most of its tenure. "Coughlin, who was attracted to the Jewish conspiracy theories promulgated by Henry Ford's 1932 anti-Semitic tome, The International Jew, became increasingly extremist in his tone and delivery, accusing FDR of being a tool of the evil cabal that secretly ran the world. He was a significant spokesman for the 'America First' movement, which advocated American non-involvement in the growing strife in Europe and Asia. And he was an inspiration for a whole generation of anti-Semites who went on to found such movements as Christian Identity and Posse Comitatus. "Limbaugh, in contrast, has always carefully eschewed conspiracy theories and anti-Semitism. Through most of the first decade of his radio career, his primary schtick has been to rail against the government and its supposed takeover of our daily lives. This anti-government propaganda has served one main purpose: To drive a wedge between middle- and lower-class workers and the one entity that has the real (if sometimes abused or neglected) capability to protect them from the ravages of wealthy class warriors and swarms of corporate wolves. 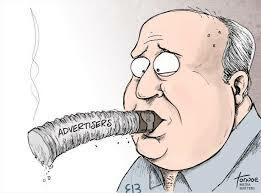 "Limbaugh likes to bill himself as an 'entertainer,' but he is more accurately understood as a propagandist. He shows no interest in actually furthering the public debate: opposing views are rarely if ever invited onto his show, and when they are they invariably receive the kind of ham-handed mistreatment that has become common on Limbaugh's television counterpart, Bill O'Reilly's Fox talk show. "And there can be little doubt as to the effectiveness of Limbaugh's propaganda: In the intervening years, it has become an object of faith, particularly in rural America where Limbaugh's broadcasts can often be heard multiple times throughout the day, that the government is in itself evil, a corrupt entity, something to be distrusted and feared, and certainly incapable of actually solving problems. 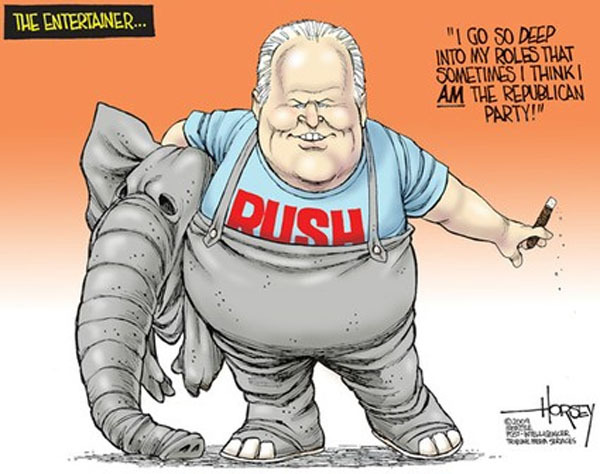 "Now that the president he supported -- George W. Bush -- is running the show, however, Limbaugh's anti-government bent has faded quickly and quietly to the background. After all, being anti-government seems practically anti-Republican these days, considering the GOP owns all three branches of government and virtually controls the Fourth Estate as well. "Mind you, in Limbaughland, there are still "evil" people in government -- but they're all liberals. Indeed, the demonization of all things liberal has always been a component of Limbaugh's routine. But now it has become his focus. And it is in that shift, taking place in a context of rising extremism, that he has become openly divisive, and truly dangerous. "Limbaugh has in recent months been one of the national leaders in the right-wing campaign to characterize opposition to President Bush's questionable policies as "anti-American," a campaign that is closely associated with broader conservative attacks on the underlying ideals of multiculturalism. 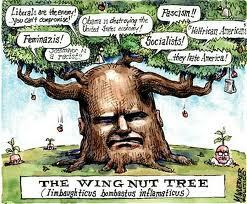 But Limbaugh has taken the rhetoric another step by associating liberals with Nazis and other fascist regimes. "This is a classic case of Newspeak -- diminishing the range of thought (it's telling that Limbaugh originally filed this under "Making the Complex Understandable") by nullifying the meaning of words. Democracy, according to Limbaugh, is fascism. "In fact, even as he ironically sneers at 'people who don't have the intellectual chops to defend their ideas,' he resorts to the notoriously inadequate dictionary definition of fascism in order to stand the meaning of the word on its head. "Observe how Limbaugh abuses the definition he gives here by only emphasizing a couple of its aspects (centralized government and economic regimentation -- neither of which are actually applicable here, no more so than they would be to a hundred thousand other government programs) and utterly ignoring those aspects of it that clearly are not present in Gephardt's proposal (exalting nation and often race above the individual, forcible suppression of the opposition -- traits which, in fact, are often present in Limbaugh's own diatribes). "Any serious consideration of Limbaugh's accusations of incipient fascism on the part of Gephardt will recognize that at the core of his argument is the suggestion that the current American bureaucracy itself, and indeed the bulk of Western civilization, particularly in its ability to tax and redistribute income, is 'fascist' -- a claim that any reasonable person can see as plainly false. "Moreover, Limbaugh's 'intellectual chops' notwithstanding, the many shortcomings of the ridiculously vague Merriam-Webster definition become self-evident when contrasted with a scholarly approach, as we shall see. 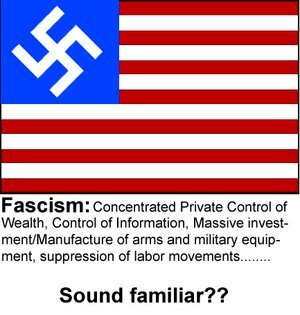 Utterly lacking from the definitions are the definitive aspects of fascism as described by serious political scholars: its populism, particularly its claim to represent the 'true character' of the respective national identities among which it arises; and its mythic core of national rebirth -- not to mention its corporatist component, its anti-liberalism, its glorification of violence and its contempt for weakness. "There is nothing in Gephardt's plan that even remotely suggests such behavior -- it is in fact clearly far removed from genuine fascism, especially if it were to live up to Limbaugh's rather absurd claims that it would ultimately lead to a wholesale government takeover of corporations, which is in any event a communist and not a fascist behavior (fascism, as we will see, has a clear component of open corporatism). "Rather, if we were to look for these well-established earmarks of fascism, we would find them in Limbaugh's essay and numerous other of his outpourings. Limbaugh, indeed, constantly claims to be the voice of 'real Americans' and regularly calls for a rebirth of the "American spirit" to be achieved by the destruction of all things liberal. 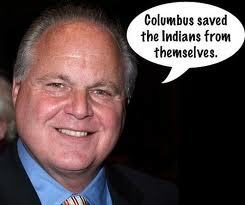 "In any event, this is not the first time Limbaugh has misused the term. 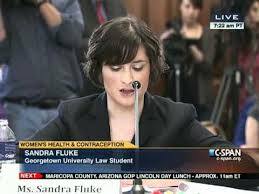 One of his most famous epithets is 'feminazi,' which juxtaposes liberal feminism with Nazism. He has referred at various times to 'liberal compassion fascists,' and on other occasions has explained to his national audience that Nazis in fact were 'socialists.' 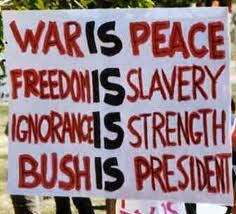 This is, of course, the kind of twisting of terminology that is the essence of Newspeak. "Limbaugh's rhetoric, in fact, is almost a model of how Newspeak works: It renders language meaningless by positing a meaning of a word that is in fact its near or precise opposite. "1) It deflates the opposition by nullifying its defining issues, and throws the nominal logic of the public debate into disarray. "2) It provides rhetorical and ontological cover for its speakers' own activities and agenda. "By carefully observing the machinations of the current spate of Newspeak emanating from transmitters like Limbaugh, however, it's possible to get a clear view of the movement's underlying agenda. This is possible when the meaning of Limbaugh's obfuscations are placed in their psychological context, because they constitute a fairly clear case of projection. "Indeed, one of the lessons I've gleaned from carefully observing the behavior of the American right over the years is that the best indicator of its agenda can be found in the very things of which it accuses the left. "Self-proclaimed anti-authoritarians such as Limbaugh thus adopt the language and style of authoritarians themselves, and engage in Newspeak-laden propaganda whose sole purpose is to appeal to persons with totalist propensities. The anti-Gephardt essay is a classic example. "Remember how during the Florida fiasco the GOP and its many talking heads regularly accused Al Gore of attempting to steal the election through court fiat? Remember how such moral paragons as Newt Gingrich, Tom DeLay, Dan Burton and Bob Livingston (not to mention John Fund and Andrew Sullivan) roared in outrage over Bill Clinton's supposed amorality? The list could go on almost indefinitely. "When the right accuses liberals of 'fascism,' it almost always does so in an effort to obscure its own fascist proclivities -- and it reminds the rest of us just whose footsoldiers are in reality merrily goosestepping down the national garden path. "1. See 'Quick Takes: There he goes again; read it and weep, Rush,' Chicago Sun-Times, April 17, 2003. "2. See Richard Hoftsadter, 'The Paranoid Style in American Politics,' Harpers Magazine November 1964, pp. 77-86. Available online." 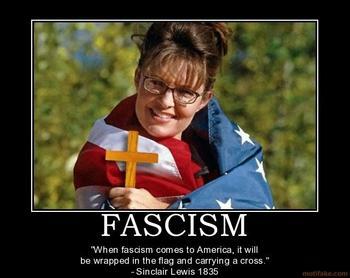 For those interested in the rest of the series, click here --> http://cursor.org/stories/fascismi.php. "When the right accuses liberals of "fascism," it almost always does so in an effort to obscure its own fascist proclivities -- and it reminds the rest of us just whose footsoldiers are in reality merrily goosestepping down the national garden path." Dame Edith Sitwell. (British poet and critic, eldest of the three literary Sitwells.